As far as winter weather goes in Toronto, we’ve been #blessed this year. Sure, we could probably count the number of times it snowed so far this winter on both hands, but in no way does it compare to what we endured at this same time last year. Not to mention the number of weather advisories and alerts issued for Toronto is considerably lower this year. To further show how easy we’ve had it so far this winter, at this same time last year, Environment Canada issued a warning for a cold snap that was making its way to southern Ontario. And no, this wasn’t your typical chilly evening in Toronto. The cold snap brought a bitterly cold northwesterly flow to the Golden Horseshoe, which made it feel as cold as -33°C. 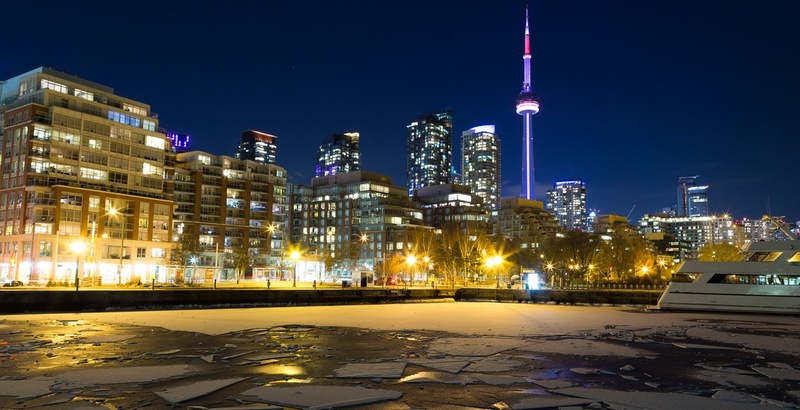 It was so freakin’ cold in the city at this time, Toronto set a record for having one of the coldest mornings on record when temperatures reached -23°C. To really paint the picture, it was -40°C colder in Toronto during this time than in Vancouver. Ouch. So the next time you catch yourself complaining about the nip in the air, or the light dusting of snow on the ground this year, just remember how painfully cold it was at this exact time in 2018.